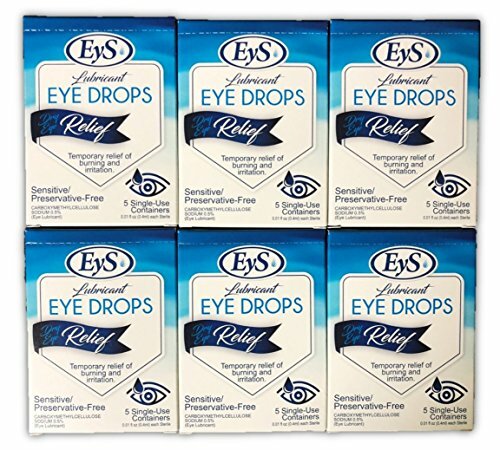 New, EyS Lubricant Eye Drops provide Dry Eye Relief for temporary burning and irritation. This is a sensitive, preservative-free formula in a box holding 5 single-use containers at 0.01 fl oz or 0.4ml each. May be used as a protectant against further irritation. For the temporary relief of burning, irritation and discomfort due to dryness of the eye or exposure to wind or sun. If you have any questions about this product by EyS, contact us by completing and submitting the form below. If you are looking for a specif part number, please include it with your message.